"The Intuitive Body "draws on the principles of the non-aggressive Japanese martial art aikido and meditation to present a fresh approach to cultivating awareness, attention, and self-acceptance. 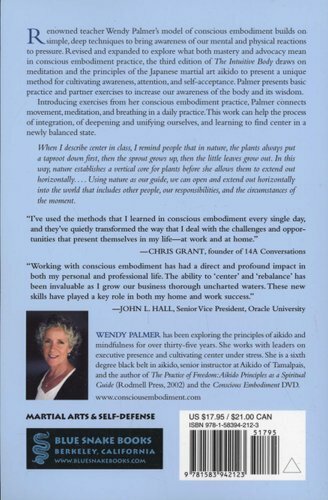 Author Wendy Palmer shows readers through basic practice and partner exercises how to become more aware of the body and trust its innate wisdom. She introduces exercises from the Conscious Embodiment and Intuition Training program she pioneered, connection movement, meditation, and breathing. These exercises form a daily practice that can help the process of integration, of deepening and unifying the self, and learning to deal with fear and anger. 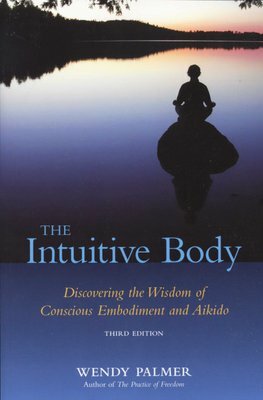 Written in a direct yet nurturing style and based on the author's many years of practice and teaching, this revised edition of "The Intuitive Body "contains new material on Conscious Embodiment movement and meditation practices. Also here are new chapters on advocating without aggressing and the wisdom of not knowing -- embodying the qualities of dignity and integrity in everyday life. The book is ideal for readers who are already engaged in the process of becoming, as well as for those who are looking for ways to find the courage to begin.